You have probably used iodized salt in your kitchen to cook with. Or you may remember seeing iodine on the periodic table of elements at school. But what exactly is iodine and how does it affect our health? Moreover, how can we get it from the food we eat? Iodine naturally occurs in sea vegetables like kelp and dulse. Why Do We Need Iodine? Iodine is important because it benefits the thyroid and contributes to the proper functioning of this endocrine gland. Iodine is one of the main building blocks of both hormones. Our bodies can’t produce this trace element, so we need to get enough of it in our diet. Iodine is absorbed into our bloodstream from food in our bowel. 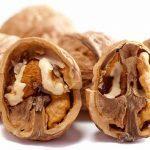 It is then carried to the thyroid gland, where it is eventually used to make the aforementioned thyroid hormones. As you can see, the thyroid is very important to the proper functioning of the body. Science demonstrates this through many interesting studies. One study found that administering thyroid hormones helped tissues to repair after injury, while another found that these hormones were key in regulating metabolism which may help treat metabolic disorders. (2, 3). Recently studies have focused on the role iodine plays in a healthy immune system, with researchers finding that iodine is important when it comes to regulating immune cells (4). Sea vegetables like Kelp are the best natural sources of iodine. Iodine deficiency can result when soil is deficient and our foods therefore contain less iodine, or when a person does not eat adequate iodine containing foods. The health repercussions of an iodine deficiency range from mild, uncomfortable symptoms to dangerous developmental issues. A severe deficiency can cause goiter or swelling of the neck which occurs when the thyroid cells multiply too rapidly. Young children who are deficient can suffer from developmental abnormalities. Brain damage can occur when a fetus does not receive enough iodine in utero (5, 6, 7). Pregnant women who do not receive adequate amounts of iodine were also found to have an increased risk of miscarriage and stillbirth (8). 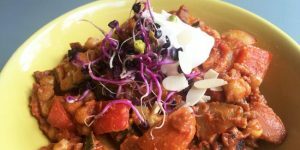 Iodine deficiency may be a concern for vegetarians and vegans because plants generally have less iodine than animal products. This is because intensive farming has caused soil to have low and often varying concentrations of iodine, resulting in crops with low levels of iodine. However, it is actually very easy to get iodine in your diet from plant-based sources. One study found that vegetarians and vegans experience iodine deficiency in greater numbers compared to those who ate a mixed diet (9). 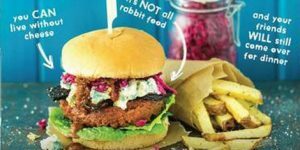 However, looking at the bigger picture instead of one isolated study reveals that vegetarians and vegans are not alone in this risk, and indeed iodine deficiency is a broader problem. It is estimated that iodine deficiency disorders (IDD) are problematic in 118 countries worldwide and 1.5 million people are at risk of developing a disorder. The large majority of these people eat meat, and or dairy. While most cases occur in developing countries in Asia, Africa, and Latin America, there are also parts of Europe that are affected (10). According to the National Institutes of Health (NIH), a healthy adult should have 15-20 mg of iodine per day, and urinary concentrations of both adults and children should be around 100-199 mcg/L. An amount lower than 100 mcg/L is considered insufficient, but deficiency is not considered to be severe until these levels reach lower than 20 mcg/L. 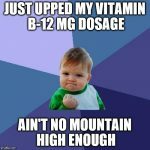 The recommended dietary allowance (RDA) varies by age, with infants needing 110 mcg per day for their first six months, which increases to 130 mcg until they reach one year old. Children 1-8 need 90 mcg. Children 9-13 need 120 mcg. Those aged 14+ need 150 mcg. Pregnant women need 220 mcg, and those breastfeeding need 290 mcg (11). 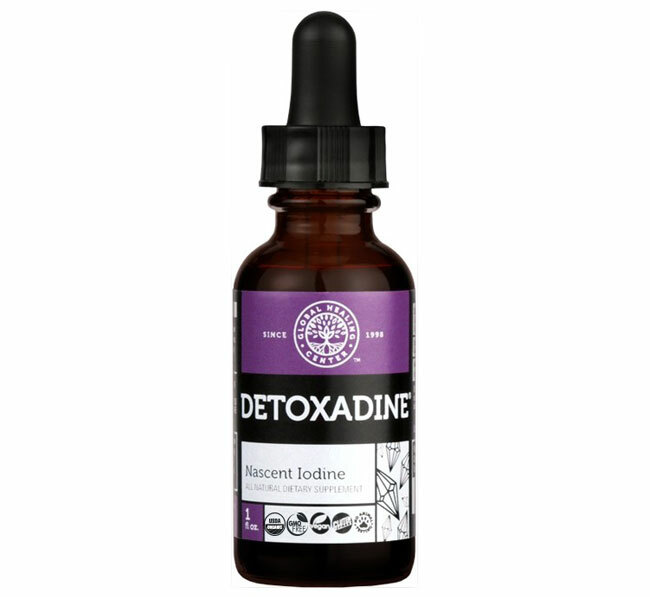 Detoxadine is a certified organic, deep-earth sourced nascent iodine supplement. It helps support thyroid health and the immune system, and give you your daily iodine intake. In the United States, salt was iodized in the 1920s when it became fortified with iodine at 100 mg/kg to provide approximately 500 micrograms per day. Although some states initially resisted the attempt to create iodized salt, today more than 90% of households in the country have access to iodized salt. Consequently, the population of the United States is now considered to be sufficient in iodine (12). Today there are over 70 countries with salt iodization programs and nearly 70% of households globally are now using iodized salt. Those with the highest usage are in North and South America while Europe and regions in the Eastern Mediterranean have a usage under 50%. In order to meet the daily iodine requirement, only half a teaspoon (3 grams) of iodized salt is needed each day. Popular sources of iodine include various fruits and vegetables, seaweed, iodized salt, dairy products, and fish. However, fish is not necessarily a safe and healthy source of iodine because seafood is contaminated with PCBs, mercury, and dioxins. Additionally, fish is eaten raw or undercooked, it can contain bacteria or viruses which are damaging to one’s health. Cow’s milk is not a natural source of iodine. Iodine supplements are added to cattle feed and thus end up in the milk supply. Another way that iodine makes its way into milk is when cows’ udders are washed with disinfectant to treat wounds and infections. The iodine wash then finds its way into the milk supply. Plant-based milk is often fortified with iodine to make a healthier iodine drink alternative to dairy. One study analyzed 47 dairy milk alternatives from 20 different brands to test their iodine concentration. 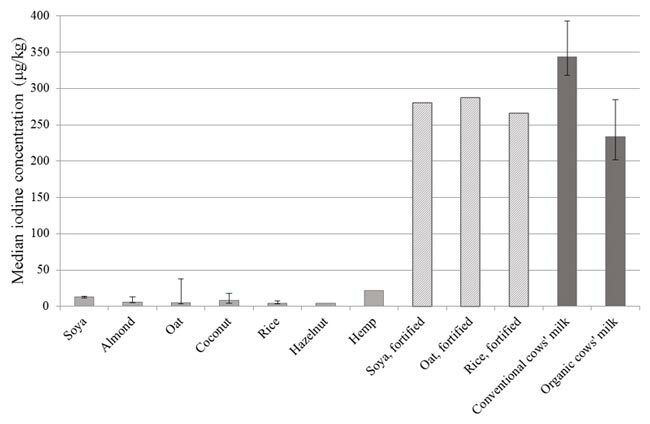 They were compared to conventional and organic cow’s milk and published in a table showing the median iodine concentration (as below). Other plant-based milk such as almond, oat, coconut, rice, hazelnut, and hemp which were not fortified with iodine contained a minimal amount of iodine (13). As mentioned previously, plant-based sources of iodine such as grains, vegetables, and fruits vary in the amounts of iodine they contain depending on iodine levels in the soil. 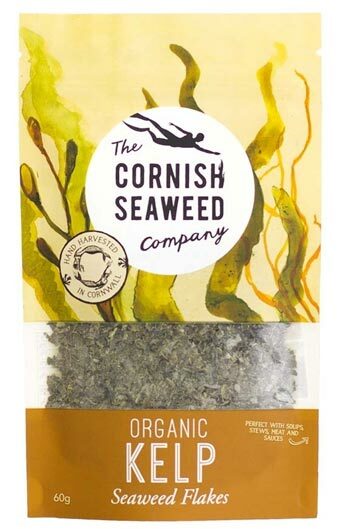 Seaweed and other sea vegetables contain the highest volume of iodine because they are able to absorb iodine from the seawater where they grow. However, the amount of iodine will vary because sea vegetables are a natural product and each harvest may contain differing amounts. In addition, soaking and cooking seaweed may cause expansion and the total iodine volume to decrease. Rinsing seaweed can also diminish the amount of iodine content in comparison to its dried form. Instead, using dried seaweed flakes to sprinkle on salads, sandwiches, or to add to soups and stews, is an excellent way to ensure adequate iodine in one’s diet. Some seaweed, such as kombu, is very high in iodine and should be avoided or used sparingly by those who have thyroid problems. It is generally advised that pregnant women eat sea vegetables no more than once a week to avoid disruption of their thyroid function (too much iodine). Instead, pregnant women can take a supplement such as kelp (see below), which will give them the exact daily RDA throughout pregnancy. 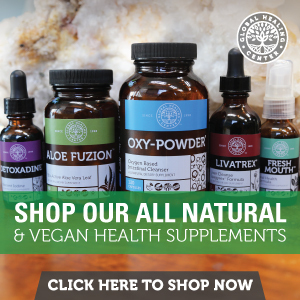 All the information in this section is available in the Plant-Based Iodine sources infographic. You can “save as” and print this infographic for your kitchen. You will find it on this page here. Kelp is a type of seaweed that is low in calories but high in vitamin K, folate, magnesium, and calcium. Dried kelp is often used as a garnish and can also be soaked in water to become rehydrated. It is popularly used in soups to flavor the broth, and fresh kelp is often eaten as a vegetable in salads and other dishes. Dulse is a red algae that is full of vitamins and minerals and is high in vitamin B-6, iron, and potassium. It is also free of fat and cholesterol and has historically been used in Ireland to make soda bread. 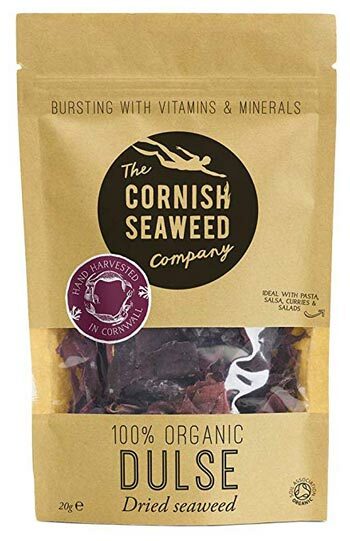 Dried dulse is often sold to sprinkle on soups, sandwiches, and salads to add flavor and sodium to a dish in place of table salt. 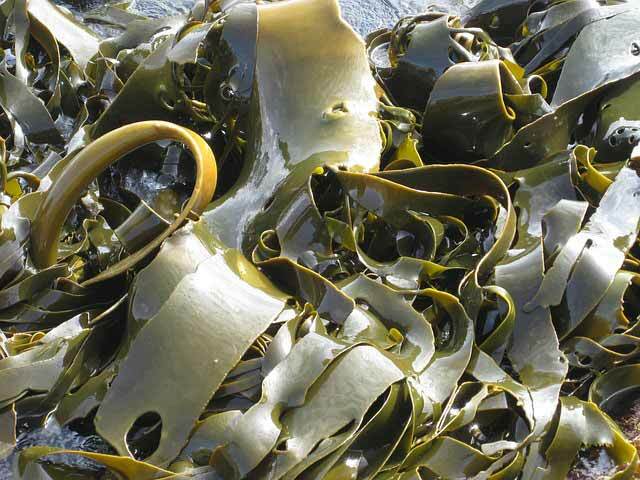 A type of brown algae, alaria is full of iodine and also includes calcium, magnesium, and B-vitamins. 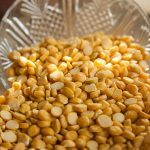 It is popular as a food in Asia, Europe, and South America and can easily be added to soups, stir-fries, and salads. On its own, it makes a delicious snack with a mild yet salty flavor. Cranberries are a fruit that grows on low shrubs and is grown primarily in the United States, Canada, and Chile. These tiny fruits are high in vitamin C and also contain iron. Traditionally eaten at Thanksgiving, they are also often found in jams and sold dried as a sweet snack or to add to a trail mix or granola. An edible seaweed, laver has a mild flavor when eaten raw but, when added to other dishes, adds a savory or umami taste to the dish. Laver is rich in amino acids, vitamins A and C, and also contains a lot of protein, making it one of the most nutritious of all the seaweeds. Welsh cuisine traditionally makes use of laver to make laverbread, which is considered a delicacy and eaten at breakfast. Potatoes are a starchy root vegetable that is a staple in many cuisines around the world and is rich in vitamins B6 and C.
The versatile potato can be eaten fried, boiled, mashed, steamed, or roasted and is often added to soups and stews or served as a side dish or snack such as fries or chips. Iodized salt is widely available around the world and many people use it in place of sea salt or other table salts. It can be used in cooking for any recipe that calls for salt or sprinkled onto a meal for additional seasoning and flavor enhancement. About ½ to ¾ of a teaspoon is enough to obtain the recommended daily intake for adults and, with the high salt content of many processed meals, it is easy to get adequate salt into one’s diet. The navy bean is small and white when dried and gets its name because it was a staple food eaten by sailors. Like most legumes, navy beans are nutrient-rich and contain potassium, protein, iron, and folate. When cooked, they can be added to soups, stews, stir-fries and casseroles. One of the most common grains in the world, corn contains vitamin A, selenium, and omega-6 fatty acids. It can be eaten right off the cob or processed and used to make cornmeal, chips, tortillas, tamales, grits, popcorn, corn starch, and corn syrup. Prunes are dried plums, known for their laxative effect as well as being rich in vitamin K, magnesium, and potassium. As a snack, prunes can be eaten on their own or added to a mix of other fruits, nuts, and seeds. 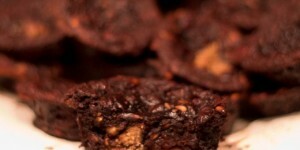 When cooked, they are often stewed and eaten with cakes and pies or incorporated into desserts and ice cream. Strawberries provide us with fiber, vitamin C, manganese, folate and potassium. They are commonly eaten while fresh though also cooked to make jams and pies. Many festivals around the United States celebrate the strawberry with strawberry shortcake and other delicacies. While botanically a berry, this vivid yellow tropical fruit is full of potassium, vitamin B6, and vitamin C. Many people enjoy a banana for breakfast, eaten alone or sliced on top of cold cereal. Philippine and south Indian cuisines use bananas in curry dishes and fry bananas into chips or other batters. Green beans are sometimes referred to as string or French beans and are low in calories yet packed with nutrition. Green beans are an excellent source of vitamin A, folate, fiber, and vitamin B-6 as well as calcium, iron, magnesium, and potassium. Typically sold in a can or frozen, they are popularly used in green bean casserole at Thanksgiving, and often cooked with garlic to make a side dish.